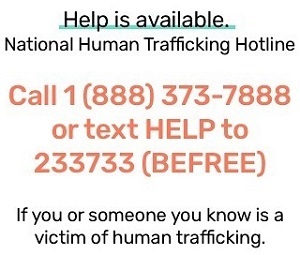 Conway, SC – Myrtle Beach, South Carolina and Lumberton, North Carolina, were both sites of operations conducted last week as part of a cross-country Federal Bureau of Investigation effort to crack down on underage human trafficking, according to a news release. The operation, Operation Cross Country XI, resulted in the recovery of 84 minors and the arrest of 120 traffickers from Oct. 12 through Oct. 15, the release from the FBI said. The youngest victim recovered was 3 months old, and the average age of the recovered victims was 15 years old, the release said. In one example, on Oct. 13, FBI Denver found two minor girls, one 3-months-old and one 5-years-old, after a friend of the children’s family offered an undercover officer “access to the two children for sexual purposes in exchange for $600,” the release said. FBI agents and task force officers staged operations in hotels, casinos, and truck stops, as well as on street corners and internet websites. The operations in the Carolinas happened in Myrtle Beach and Columbia in South Carolina, and Charlotte, Raleigh, Fayetteville, and Lumberton in North Carolina, according to the FBI. If you think you have seen a missing child, contact the National Center for Missing & Exploited Children® 24-hours a day, 7 days a week.